We run courses throughout the year in Snowdonia and in the Peak district in spring and autumn. We love rock climbing and we think you will too! This is an outdoor focused course covering basics such as fitting a harness and helmet, tying knots, belaying, climbing movement. Prerequisites: None, and kit is provided. Traditionally people learnt to climb from going out with more experienced friends. In the late 1970’s climbing walls appeared to offer climbers training opportunities in the winter. Nowadays many people take their first steps inside on plywood and plastic; our courses take you outside on to real rock! If you already lead climb indoors or second trad climb, this is the course for you. Learn how to place natural protection, build belays, mental tactics and movement skills. Prerequisites: Some seconding experience and the desire to lead. The Classic Rock series has inspired generations of climbers to climb their dream routes. 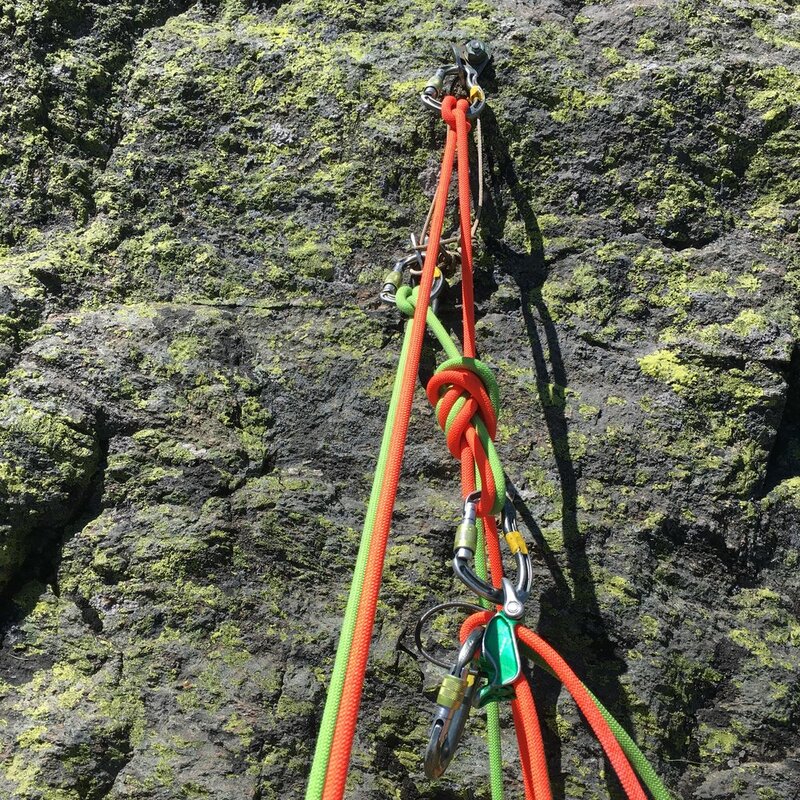 Many areas now have select guides pointing the way to the best rock climbs in the area. We offer guiding up the routes, YOU wish to do. Would you know what to do if your climbing partner became injured or ill? Or if they were unable to second a pitch? We can give you the tools to help get yourself out of trouble!